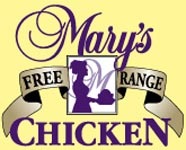 Rogers Poultry is proud to offer MARY’S FREE RANGE ANTIBIOTIC FREE CHICKEN as part of our SUSTAINABLE POULTRY PROGRAM. 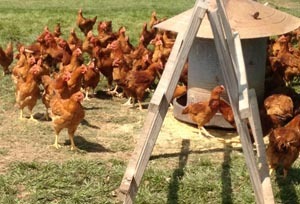 Mary’s Free Range ABF Air Chilled Chickens are an additional step up the ladder in humane farming practices; with freedom to move about and a premium diet void of any chemical stimulators. *GMO stands for Genetically Modified Organisms: an organism with altered genetic DNA engineered by humans. Mary’s is the first in the industry to be Verified with Non GMO Project.